Takes you where you want to go, regardless of the shore. Takes you there safe and sound, even when other boats struggle to. The adaptable side console boat. Boating made enjoyable - in all weathers. Go - whenever you want, wherever you want. Benefits of a bow ramp without compromising on driving properties. Always ready, no matter when or where you need to go. A robust multitasker for challenging conditions. 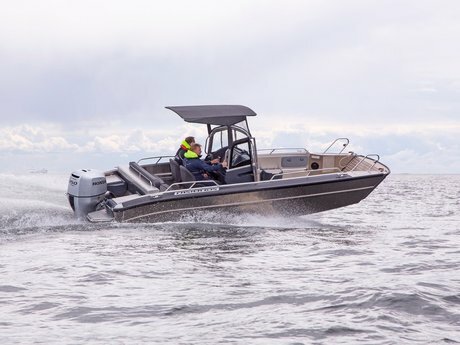 The true combination of utility, professional and recreational boat. Quality aluminium boats, more durable than most. 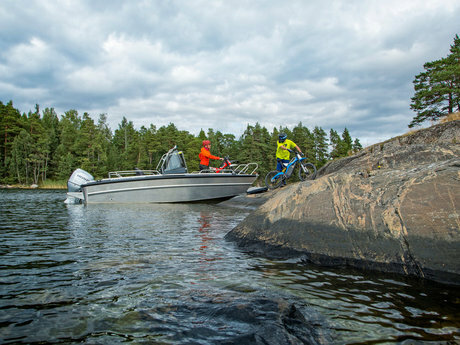 The Faster aluminium boats' features have been refined and tested in professional use. Over the years i.e. the police force and numerous other rescue departments have relied on Faster; they, who need to move when disaster strikes, no matter the weather and wind. If they trust Faster, why wouldn't you? 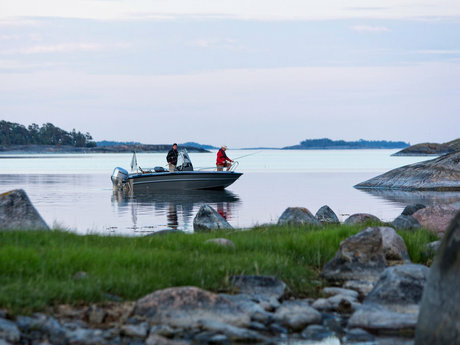 Our boat models are hand-made in Finland out of raw marine aluminum thicker than most boat manufacturers use, making Faster boats stronger and more durable than other aluminum boats. The marine aluminum is easy to maintain and keep clean, while the high freeboards, sturdy railings and a roughened floor/deck helps make Faster extremely safe to use. A genial layout plan makes for great maneuverability in tough conditions, even when heavily loaded. 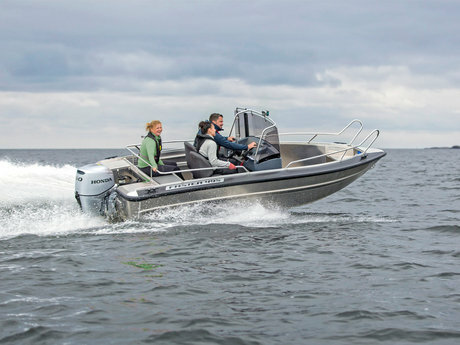 The flexible side console model is suited for both fishing, leisure and utility. Versatile dual consoles for effortless cruising and goods transporting. The true multitasker with a practical bow ramp. 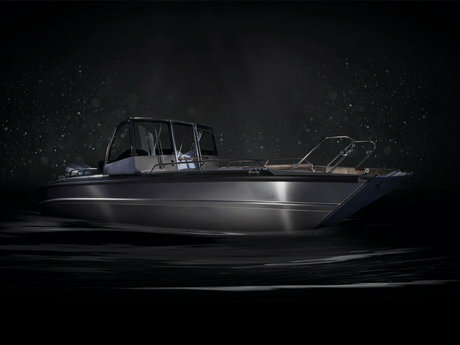 The combination of a recreational, utility and professional boat. 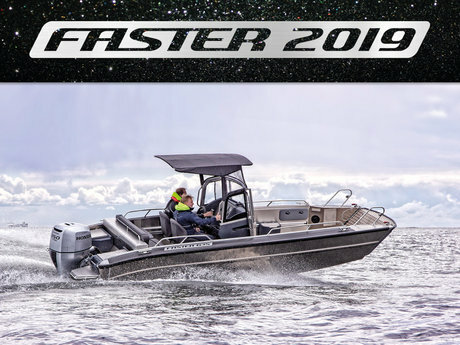 The 2019 Faster brochure is browsable online. 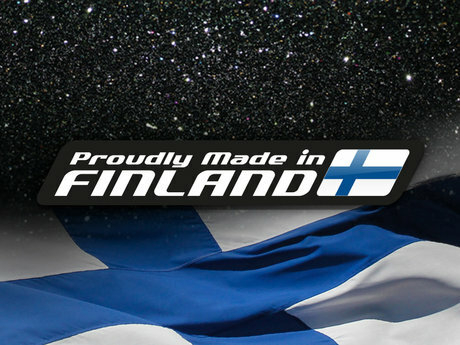 Each and every one of our boats is a handmade Finnish quality product. 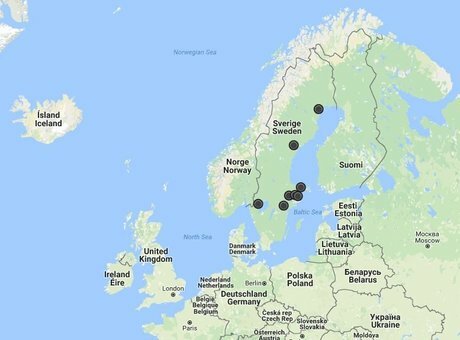 Search and find the Faster dealers closest to you. Join our mailing list and stay on top on what happens at Faster.